"Led by former Savatage vocalist Zak Stevens, the 12-track 'Seasons Will Fall' promises to be the band’s strongest album to date both musically and sonically blending Stevens’ history and unique 'Savatage style' with the fresh sounds he’s meticulously developed with CIIC — a commanding fusion of metal and hard rock, powered by his passionate melodic rock vocals. From the howling guitar riffs of 'Diamond Blade' and 'Killing Death' to the energetic sound of 'Never Gonna Stop,' the album contains everything you want from a heavy rock album. "EarMUSIC/Edel and Zak Stevens have enjoyed critical acclaim and commercial success together over the years with Savatage’s Dead Winter Dead (1995) and The Wake of Magellan (1997), true milestones of hard rock/heavy metal and some of the highest charting metal success stories of the ‘90s." 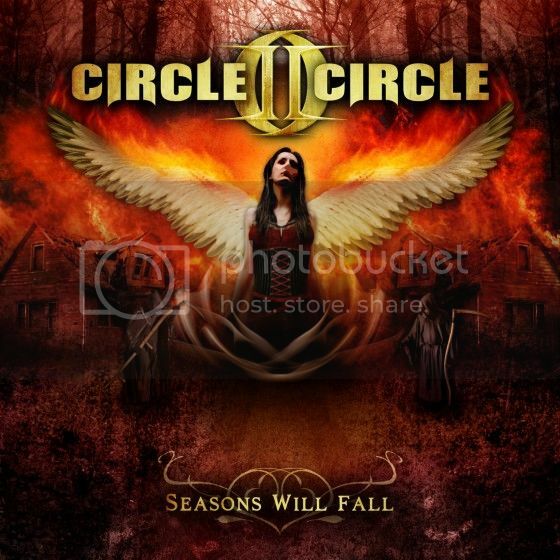 0 Comments on "Circle II Circle Announces New Album Release"